I have found that a lot of people who are hurt in a work related accident and are not familiar or experienced with Massachusetts workers’ compensation do not seek legal advice. While the reasons for not consulting with an attorney may vary, I have heard people say “I don’t have money to hire a lawyer.” or “I didn’t think I needed a lawyer.” Regardless of the reason, it is wise for anyone injured on the job in Massachusetts to, at the very least, meet and speak with an experienced workers’ compensation attorney. Workers’ compensation in Massachusetts can be complex. There is a completely separate statute that governs workers’ compensation cases (M.G.L. 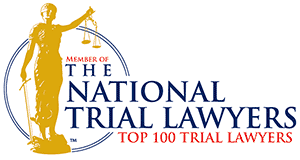 c. 152 – The Workers’ Compensation Act) and a specific court system that handles these cases known as the Department of Industrial Accidents (DIA). An experienced workers’ compensation attorney will be very familiar with the DIA, its rules and the laws of workers’ compensation cases. When a worker is injured on the job there are many aspects of the claim or case that must be examined. 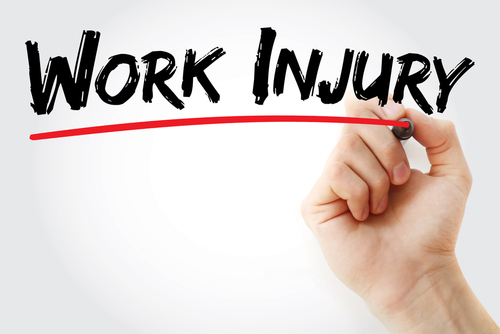 Many questions arise, such as, What benefits is the injured worker entitled to? How are the benefits calculated? How long can I receive workers’ compensation? Etc… An experienced and skilled attorney can help advise, advocate for and guide an injured worker through the process to assure the employee is getting the benefits he or she deserves. Many times the workers’ compensation insurance company voluntarily pays the injured worker disability benefits. When this happens the injured worker may think there is no reason to consult with an attorney because the insurance company is paying them. But, insurance companies look out for themselves and are not going to give legal advice to an employee. Most injured workers do not know if they are getting the correct amount every week or what other benefits they are entitled to. An experienced attorney can evaluate the case and make sure the injured worker is getting the right amount of benefits. For Example: I recently met with a woman who was injured on the job. Her injury kept her out of work and the workers’ compensation insurance company voluntarily paid her disability benefits. You may be thinking, ok, so what’s the problem? Well, when I evaluated her case, she told me that she had a second job. Her injury kept her out of her second job too. When an employee is hurt at work and the injury keeps the employee out of both of their jobs, their disability benefits are calculated based on the average weekly wage of both jobs. The workers’ compensation laws in Massachusetts provide “In case the injured employee is employed in the concurrent service of more than one insured employer or self-insurer, his total earnings from the several insured employers and self-insurers shall be considered in determining his average weekly wages.” The workers’ compensation insurance company didn’t know about the second job and the injured employee didn’t know that she could add the average weekly wage from both jobs together to calculate her temporary total disability benefits. This finding got the employee an extra $160 per week. I’m sure everyone is familiar with most lawyers’ offers regardless of what type of law they practice. That offer is for a “Free Consultation”. If it is free, why not take advantage of it and get information about workers’ compensation cases. The free consultations are usually with no obligation. Lastly, injured workers shouldn’t worry about not having money to hire a lawyer. In Massachusetts, the workers’ compensation laws control how and how much a lawyer is paid for representing an injured worker. Workers’ compensation lawyers accept employees’ cases on a contingent fee basis. This means that the employee’s attorney doesn’t get paid unless he or she is successful in the case. The payments will come from the insurance company or will be a percentage of a lump sum settlement. I have written a more detailed article on how an injured worker pays for a lawyer, which provides some great information for injured employees worried about not being able to hire a lawyer. In a situation where an injured employee is voluntarily paid benefits by the workers’ compensation insurance company, the employee may be concerned that the insurance company will think he or she is “up to something” if they hire a lawyer. While that is a valid concern, there is no need, in some cases, for the lawyer to file an appearance or notify the insurance company that a lawyer was hired. I often meet with injured workers and am hired to represent them in their work accident claim, but do not notify the insurance company. The reasons is so that I do not harm or affect their claim. When the injured employee is being paid benefits and getting the medical treatment they need, unless there is a compelling reason to do so, I do not notify anyone or take any action. I remain in the background and am available to answer my client’s questions and guide them through the process. If and when a problem arises, I will jump into action. So if you are concerned about the insurance company or your employer thinking you are up to something if you hire a lawyer, tell your attorney not to notify anyone or file anything. This way, you get the legal advice and guidance you need and no one will know or think anything about it. Mahaney & Pappas, LLP have helped many injured workers get the benefits they deserve. If you were hurt on the job and have questions, feel free to call us at (508) 879-3500 or contact us online. We offer free, no-obligation meetings and case evaluations. At the meeting we will discuss the workers’ compensation process in Massachusetts, the legal fees and costs and will examine your case. We are happy to help.